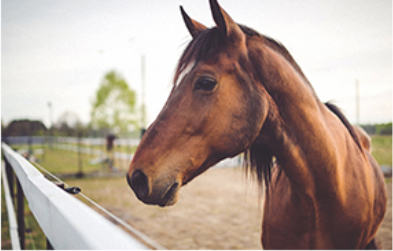 Complete Electrolytes Syringe The Complete Electrolyte Syringe is an extra gentle electrolyte that is specifically designed for all horses in work, which can help them to perform to their highest standard. A highly palatable and fully balanced electrolyte, the Complete Electrolyte Syringe is a fantastic product for replacing the electrolytes your horse loses during exercise. 100g of Complete Electrolytes contains: 27.5g chloride, 14.64g sodium, 6.07g potassium, 360mg magnesium and 360mg calcium. The loss of electrolytes can severely limit your horse's performance during competitions, and choosing less palatable electrolytes can irritate the stomach and intestines. 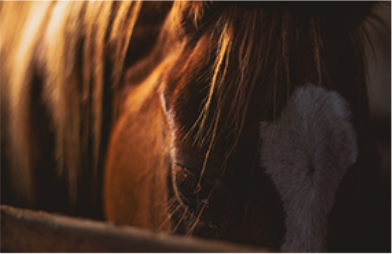 The five key electrolytes are important for keeping your horse healthy; they aid nerve, digestive, muscle, kidney, lung and heart function and are important for maintaining normal hydration. It is important for all horses in work to receive extra electrolytes to replace those they lose through sweat and bodily excretions, the amount of electrolytes lost correlates to how hard the horse is working and the temperature. The average horse will lose around 5 litres of sweat on a usual day, which can cause them to lose around 50g of vital electrolytes which need to be replenished. The best way to keep your horses electrolytes stable is to incorporate the Complete Electrolyte Syringe into their feed every day. It can take months to restore your horse's electrolyte balance after a month of training, so it is vital to replenish as you go. This product can be used daily or following hard work or excessive sweating, for example during or following transport. Also suitable for administration during prolonged exercise or competition. Always ensure unlimited access to water.